The 90s are making a HUGE comeback in 2019! Iconic designer handbags are back with modern twists! See 3 particular ones that are back in full effect! You can probably even sneak into your mom’s closet and see if she has any of these iconic handbags that you can borrow! Dior has brought back its iconic Saddle bag. Dior presented the bag in a number of different styles including in the signature Dior logo print, a few in simple black leather and a number of 70s-inspired patchwork and beaded styles. Dior reissued the bag in February 2018 and the iconic bag is even more and more prominent everyday! Fendi is re-launching, the Carrie Bradshaw approved, baguette bag silhouette in an array of updated colors and designs; even in its traditional monogram print. The monogrammed GG print is back from the dead! 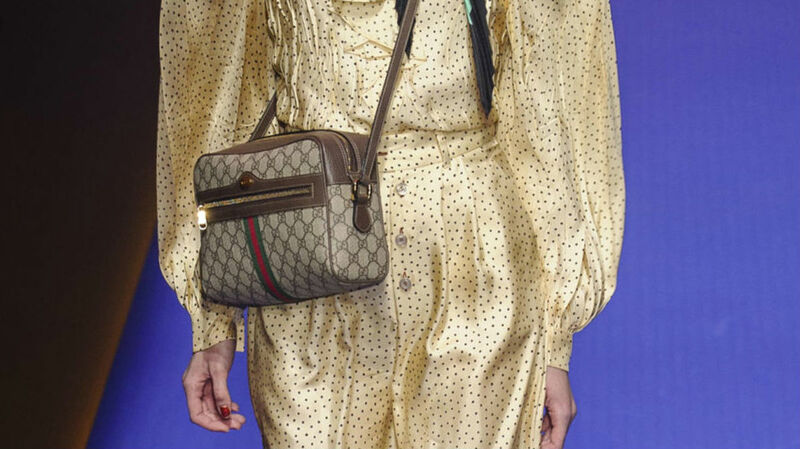 Gucci has been a leading fashion house when it comes to to the “logo mania” trend with Gucci written everywhere (Read more about it HERE). But they have brought back their signature prints that once covered belts, bags, hats and more in new and modernized designs.